Are you looking for a cake recipe to add to your summer celebrations? If so, you’re going to love this! This evening I saw Sheryl’s post and what ultimately caught my eye, was when she said they play pinochle. That took me right back to my childhood memories. Mom’s side of the family LOVED playing cards. After meals, the decks of cards came out. I skipped several games just so I could sit on the couch and read grandma’s True Story magazines and look at old picture albums. After several hands of cards, the snack plates appeared. My grandma made lots of homemade desserts and I can’t help but think that she really would’ve enjoyed baking this one. After all, this recipe is from a 1912 cookbook, and it would have already graced the world 4 years before my grandpa was born in 1916. Just that alone, makes it special. It looks so delicious and I can’t wait to try making it. Thank you so much Sheryl, for letting me share. Visiting with old friends is always special. For the last 15 or 20 years, my husband and I get together a couple times a year with my daughter’s former girl scout leader and her husband to play pinochle. There are shared memories, family updates, and just plain good times. It recently was my turn to host the gathering, and I wanted to make a special dessert – but something not too heavy. And, of course, my other criteria was that it had to be made using a hundred-year-old recipe. 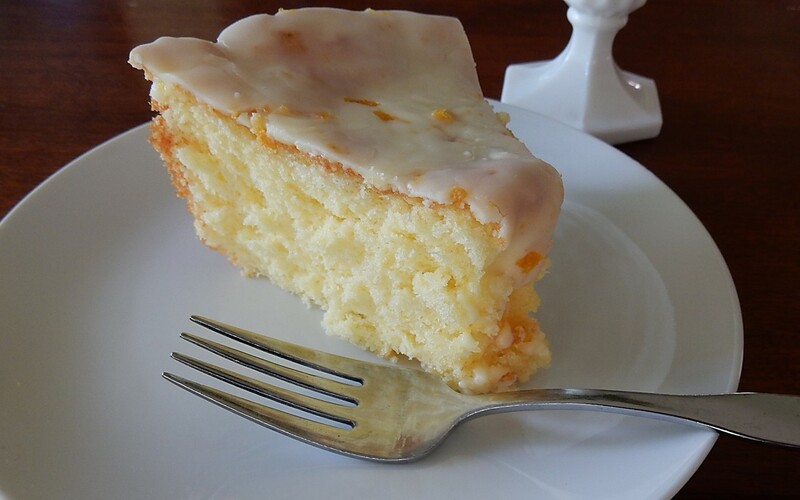 When browsing through an old cookbook, I came across a recipe for a citrus sponge cake called Sunshine Cake that peaked my interest, so I decided to give it a try. Those sound yummy! :) I’ll let her know! Looks and sounds lush! Thanks for sharing. I’m honored that you thought my post was worthy of reposting. Thank you! And, it’s wonderful to see that several of your readers enjoyed the post and are planning to make the cake and frosting.